Eatsa is one of those high-tech food stops that is irresistible to a foodie geek like me. Here’s how my first experience went! 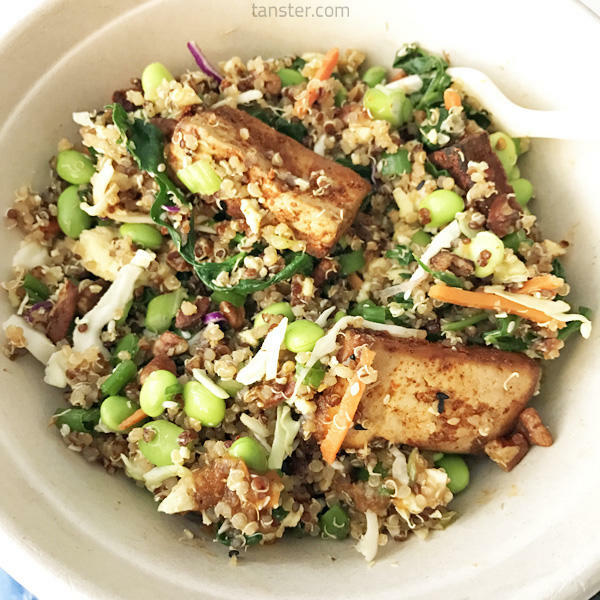 If you’re on the go and want to eat clean, you have to try Eatsa. 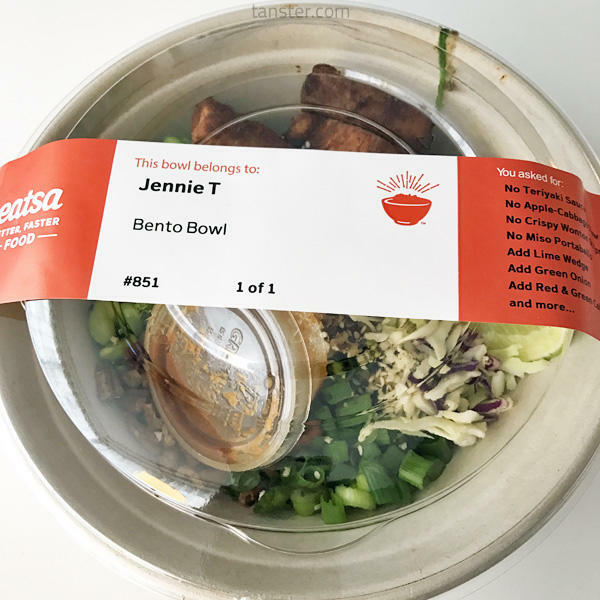 Download the app, pick (and/or customize) a bowl, wait for your name to appear on a cubbie, and then grab your grub. 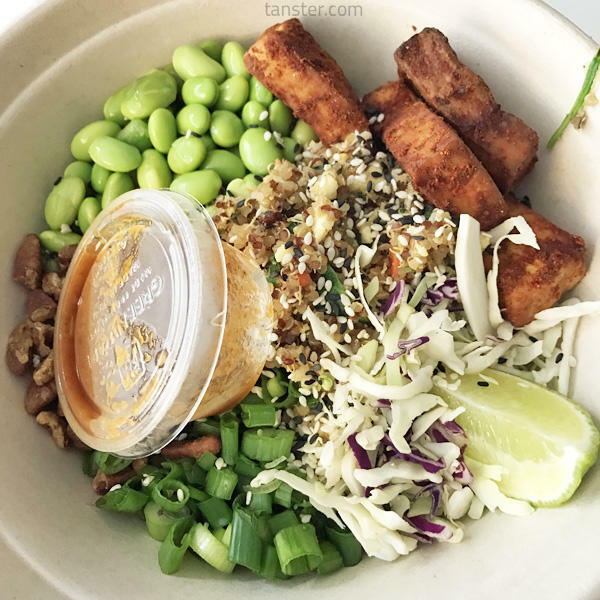 I was able to start with one of their suggested bowls and then customize the heck out of it for a high-protein, low-sodium lunch. The app remembers your purchase history so it’s easy to order your favorite next time! My total came to only $6.95 ($7.84 including SF sales tax and health mandate). For a big bowl of yummy and healthy fixins, it’s totally worth it!